Wowza! Your little gal is as vibrant and bright as they come! A special girl like that needs a one piece that is as incredible as she is. The Finz Zig Zag Girls’ Print X Factor One Piece features an effervescent explosion of aqua, tangerine, indigo, slate, and lime zig zags that will have your girl in the limelight! X marks the spot! 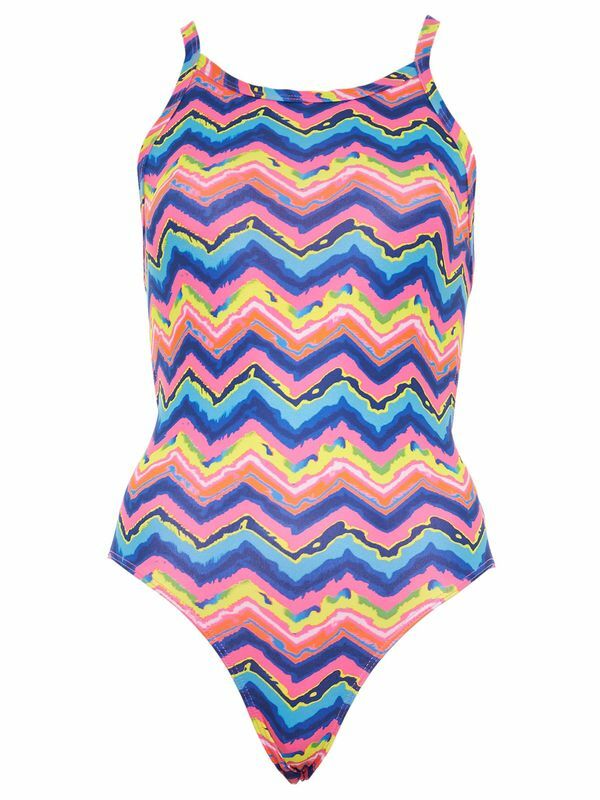 If you want to find where form and function meet, it is time to grab the Finz Zig Zag Girls’ Print X Factor One Piece! This zany number will have your little pool princess zealous and ready to jet across the water faster than ever before.